Many people want a “radio” for their 4×4 vehicle, but when you question the reason for wanting a radio you invariably hear “well in case I get lost or my vehicle breaks!” My response is always, well who are you planning on talking to? Why do you want a radio? receive news and weather information. These radios have an output power of 4 watts and are AM radios thus giving you a range of between three and eight kilometers. Greater ranges can be achieved depending on your location, but realistically 5km range is average. Most radios on the market are old and at the end of their life. 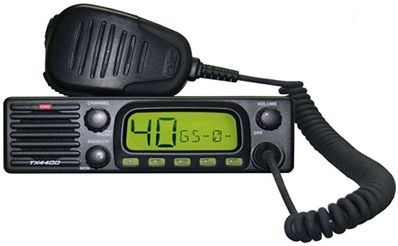 The cost of a new CB radio including installation would be approximately R1600. These are by far the most popular radios in the off-road market and this system is promoted my most clubs. They have the same power and range as CB radios but have the advantage of being professional in the sense that a single channel is licenced and the band is not a “chatter band”. 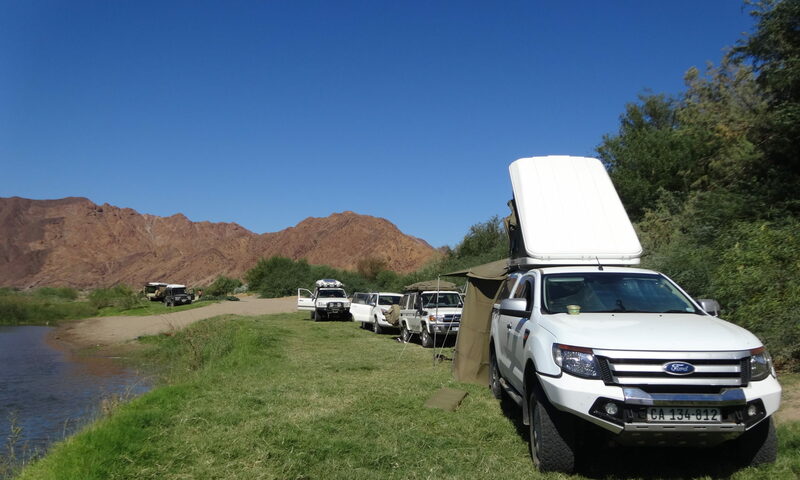 The most popular channels for off-roading are channel 1 29.7100 Mhz and channel 14 29.8725 Mhz . These radios have the added disadvantage of having squelch controls and if the squelch is turned too far, the radio receiver is desensitized thus reducing your range to a few hundred meters. Approximate cost R1800 installed. These are VHF (midband and highband) or UHF radios. These radios have an output power of 25 Watts and the mode is FM. Communications are crystal clear, the squelch is preset and on the basic models they are only ON/OFF and volume controls and so they are very easy to use. Your range is realistically 20km on VHF highband and up to 35km on midband. Midband is less effected by the terrain whereas range on highband and UHF is almost line of site. Mountains and valleys will restrict communication considerably on highband and UHF. Approximate cost R3500 installed. Note: A specific channel is issued to you and you will only be able to communicate with the people in your group who have the same channels as you. Channels are preset and the chance of finding someone else on your channel are 1 in 1 500 000. These are the systems that the long distance trucks use as well as game lodges, missionaries, etc. These radios have an output power of 100 watts and operate in the SSB or single sideband mode and are the radios that radio amateurs use to talk around the world. Range is around the world BUT the range is determined by the frequency, time of day and sun spot activity and so some experience is necessary to select the correct channel for the said conditions. Conditions during the day are fairly predictable but early morning and late afternoon communications can be problematic. Commercial HF radios are channelised and the authorities will issue you with a set of channels that you can use. Once again you will only be able to talk to someone who is using one of your radios. You will also require an antenna tuner if you want to use the system optimally. Approximate cost R20 000 per radio (and tuner). Satphones as they are called are great and the adverts look good. You can use your satphone day or night and call any number in the world with the only disadvantage being the cost of the calls. Airtime is sold on a “pay as you go” basis and is sold in US Dollars, the more time you buy the cheaper the rate but you will be paying around R30 per minute. The “pay as you go” cards don’t expire as with cellphones but the smallest denomination in usually $100. Satphones can be rented at R1000 per week or purchased for R15 000. These are strictly out of bounds and the use of this equipment will result is heavy fines and possible arrest. By emergency communications we mean the ability to contact outside help. Here you are limited to satellite phones or HF radio as the chance of picking up another station on any of the other systems is remote. Here you can use any of the systems, with the most cost effective being 29 Mhz with a body mounted antenna. The old adage of “rather buy a cheap radio and an expensive antenna than the other way around” still stands. Handheld radios of all types have very limited ranges as the antennas are a compromise (size), the signal is electromagnetic and the vehicle’s body is metal thus the body of the vehicle shields the signal. Another problem is recharging of the handheld units or in some cases the consumption of penlight batteries. Also it is illegal to use a handheld radio in a vehicle whilst driving with the same fines as for cellular phone use. Being able to receive short wave means that you have a window to the world. The BBC, Deutche Welle and Radio Nederland transmit news 24 hours a day and having a short wave receiver is a great companion. Marine stations also broadcast weather bulletins that can be received on these radios. Sony and Grundig make small, portable short wave receivers which receive the full short wave band, medium wave and FM. Medium wave or AM as it is marked on some radios also receives the BBC and Voice of America as well as a number of local radio station. Night time reception on medium wave can be very good and reception of distant stations is possible.